Customize the Beaver Builder Blog Sidebar the easy way by watching this quick video tutorial. Learn how to use the Beaver Builder Shortcode to design your Beaver Builder Blog’s Sidebar WITHOUT using Widgets. By the end of this tutorial you’ll be able to customize the Beaver Builder Blog Sidebar using the drag-and-drop capabilities of Beaver Builder. For years you and I both have set up our blog sidebars under WordPress Dashboard > Appearance > Widgets. But I’ve always found this cumbersome, especially since I found Beaver Builder. We use Beaver Builder not only because it’s extremely quick and well supported, but also because we can actually see what we’re doing. It’s a frontend builder for WordPress – who want’s to build their website from the backend? Beaver Builder is extremely flexible when it comes to editing Post Types but how good would it be to be able to edit Widget Areas using Beaver Builder? You can follow this video tutorial to learn how to add a Beaver Builder Template into the Blog Sidebar widget area, but you can apply this same technique to any widget area on your website! 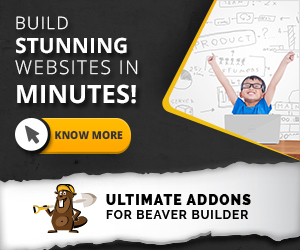 You’re able to use the Beaver Builder modules that come with the page builder. I specifically love that I can use the Subscribe Form module to get more people into the mailing list of the website. For client websites the client can edit their website with Beaver Builder consistently and not have to use Widgets. Widgets can be complex! If you found this post useful, please comment below or on youtube with some future video recommendations with questions you want answered. A share also goes along way. We’re on lots of social media channels. Your share could go on to help another Beyonder out there. can you tell me how to customise space (left and right) between post and sidebar? Its to much space and there is no option to do that in customiser. You will need to use some custom CSS here. Holy smokes, Grant. Very useful stuff for a feller who doesn’t develop sites for a living. So, thanks. I was especially concerned about sidebars, since I’m converting nine sites in advance of changes coming to WordPress in 2018 that will make Woothemes Canvas incompatible.